After eating, KK put away her lunchbox and went to the restroom. She wanted to pray in private. Download medium-resolution photos for this story from our Facebook page. These photos are uploaded on Sundays, six days before the mission story is to be presented. Download high-resolution photos and more from the ADAMS databank. Download high-resolution photos of Thirteenth Sabbath projects for this quarter from ADAMS. Read more about KK and prayer. The national flower of Thailand is the orchid; 1,500 orchid species can be found growing wild in the Thai forests, and Thailand is one of the world’s largest orchid exporters. Thailand used to be known as Siam, and it is the origin of Siamese cats. Though there used to be 23 types of Siamese cats, there are now only six. Giving a pair of Siamese cats to a bride on her wedding day is considered good luck. The residents of Lopburi province hold an annual festival for monkeys, known as the Monkey Buffet, as a thank you to the monkeys that inhabit the village and bring thousands of tourists there each year. Two tons of meat, fruit, ice cream, and other treats make up this feast. To Sabbath School teachers: This story is for Sabbath, Oct. 13. The bell sounded at 9:50 a.m., and KK joined her eighth-grade classmates in sprinting for the classroom door for a 15-minute recess in Korat, Thailand. 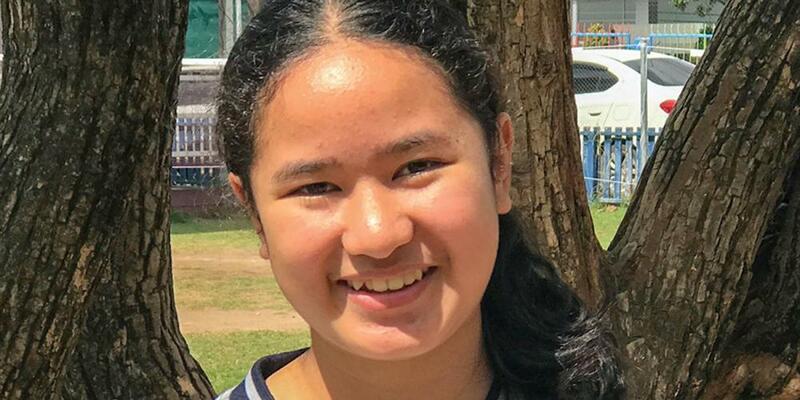 On the playground of Adventist International Mission School – Korat, KK saw a ninth-grade friend, Kaopoon, and went over to chat about their studies. Before she knew it, it was 10:05 a.m. and time to return to the classroom. Back at her front-row desk, KK looked over at her best friend, Bam, and smiled. Bam looked away. KK was puzzled. “How are you?” she whispered. “Fine,” Bam said, still looking away. Bam didn’t sound fine. KK whispered a few more times to Bam during the lesson, but Bam wasn’t her usual self. She looked unhappy and was oddly quiet. KK wondered why Bam was acting so strangely and suddenly realized that she might be upset about what happened at recess. She remembered seeing Bam standing alone near the classroom door while she had chatted with Kaopoon. At lunchtime, KK and Bam sat together as usual in the dining area, but they didn’t talk. KK felt terribly uncomfortable as she picked at the rice, broccoli, and carrots that her father had packed for her lunch. She didn’t know what to do. KK came out of the restroom and sat alone at her desk in the classroom. She wasn’t sure where Bam had gone. When the bell rang, Bam returned to the classroom with the other eighth graders. KK looked at her. Bam looked away. After a few minutes, KK whispered something to Bam. To her relief, Bam whispered something back. Soon the two girls were talking like old times. When KK reached home later that afternoon, she went to her bedroom and prayed to God. “Thank You for letting me know what to do and for helping me get back together with my best friend,” she said. Today, KK is best friends with Bam and Kaopoon, and all three girls enjoy hanging out at school. Part of this quarter’s Thirteenth Sabbath Offering will help KK’s school construct a new campus. The new classrooms will allow the K-9 school to expand to the 12th grade and to accept more students. Thank you for your mission offering.